A joyful new shamblegasm from UK favourite Southern. Peerless and fearless improvising and wonderful stand up packed with jokes. Long story, short will debut stories garnered (and some clearly made up) from his travels and adventures throughout the UK and beyond. This is the 11th hour that Gordon has performed as Earth enters it’s one. Carbon oops. A total sell out at Melbourne Comedy Festival 2011-14 and with sell out shows across Australia, New Zealand and in Edinburgh performing his lauded 2014 show. 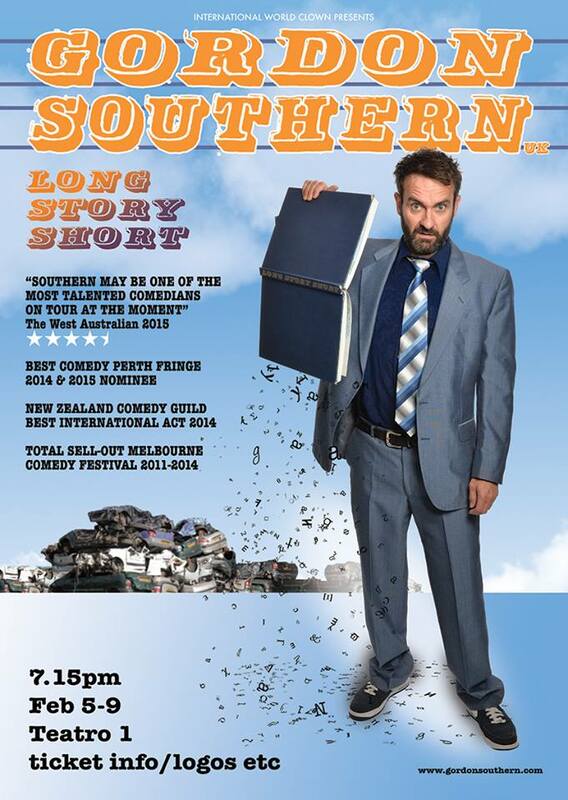 Award nominated in Edinburgh, New Zealand (2012) and Perth Fringe (2014).